For many people, cars are as much vehicles for personal style and aesthetics as for transportation. Automobile manufacturer Audi and the wearable fashion designer Anouk Wipprecht have taken this concept a step further, creating four futuristic dresses incorporating some of the new Audi A4 sedan’s most notable features. Audi asked Wipprecht, known for such startling designs as a microchip-implanted dress and a frock with robotic spider arms at the shoulders, to create the 3D-printed garments as part of the A4’s promotional campaign. 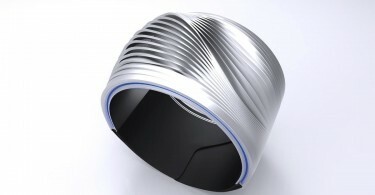 The first dress pays homage to the car’s Virtual Cockpit, its digital instrument cluster and infotainment center. 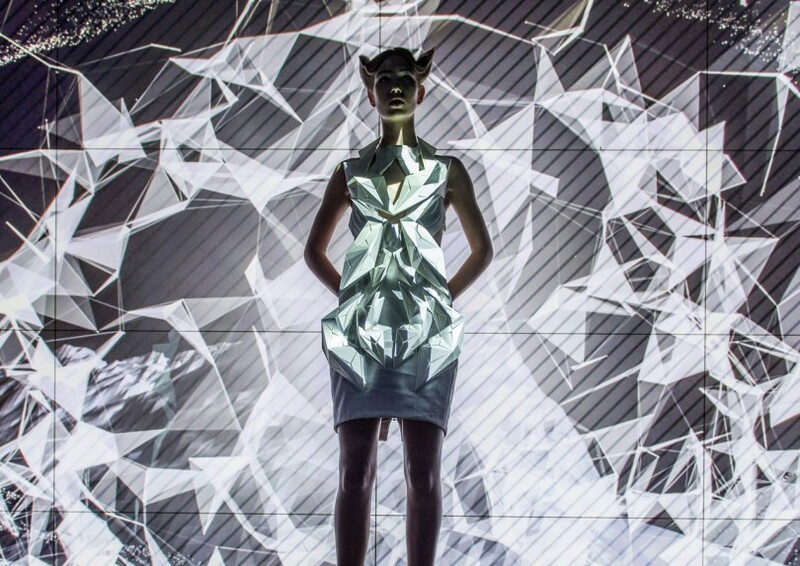 Called the Projection Map Dress, it incorporates two shields embedded with Audi’s Ultrasonic RangeFinder sensors, along with LEDs, into a polygon design. When the lights flash, the piece recalls a dashboard reflected through headlights. 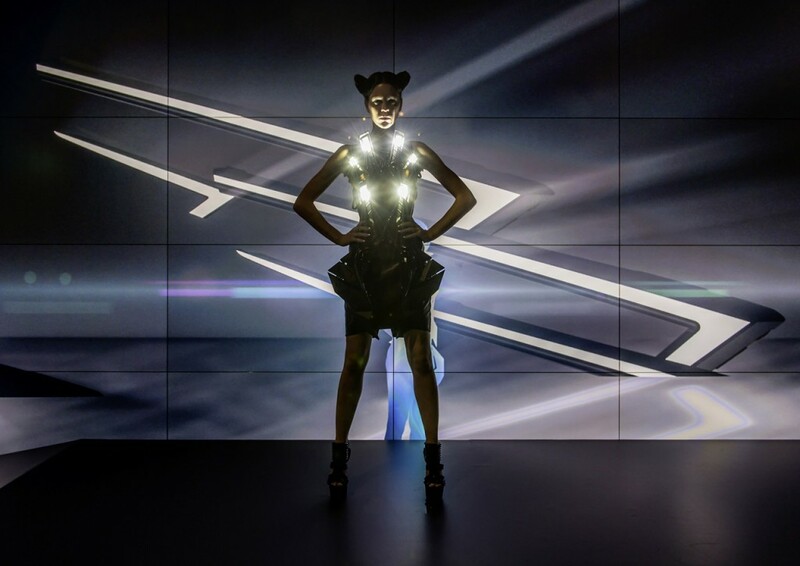 For the second outfit, the LED Matrix Dress, Wipprecht arranged components of Audi’s LED Matrix headlights in a circular pattern on the front of the piece. The 60-watt lights turn on and off, making the wearer look like she physically embodies a car’s headlights. The final two pieces, both called Shield Dresses, also include the Audi Ultrasonic RangeFinder sensors. The designer manipulated the sensors—designed to notify drivers of the proximity of another vehicle to the car—to do the same for the human body. Each dress also features 20-watt LEDs that get brighter the closer someone moves into the wearer’s personal space. Having debuted the dresses in its Berlin showroom, Audi plans to exhibit them in its showrooms in Beijing, London and Milan, as well.